The New Hospital Campaign Thermometer Is Up! For more than 70 years it has been a tradition to represent the island community’s support of Nantucket Cottage Hospital with a fundraising thermometer on the Pacific National Bank on Main Street. Today we unveiled the new thermometer to mark our progress toward Nantucket’s new hospital! Thank you to everyone who has generously contributed to this historic project. Learn more by clicking here. 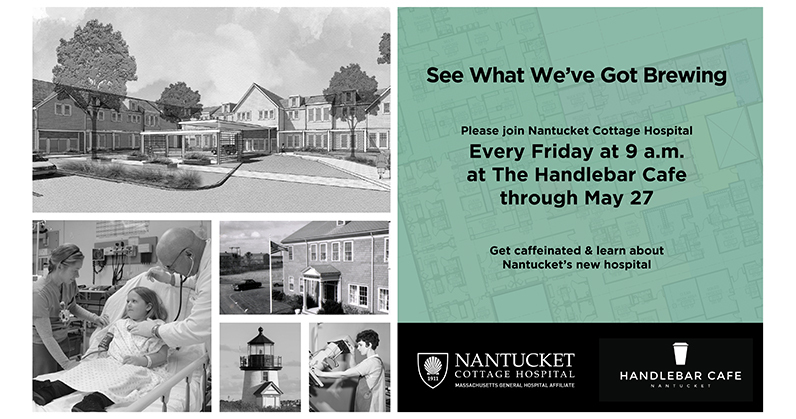 Listen to Nantucket Cottage Hospital President & CEO Dr. Margot Hartmann and public information officer Jason Graziadei sit down with “Inside the Whale” podcast host Doug Cote to discuss the new hospital, as well as a range of issues affecting Nantucket and health care on the island. 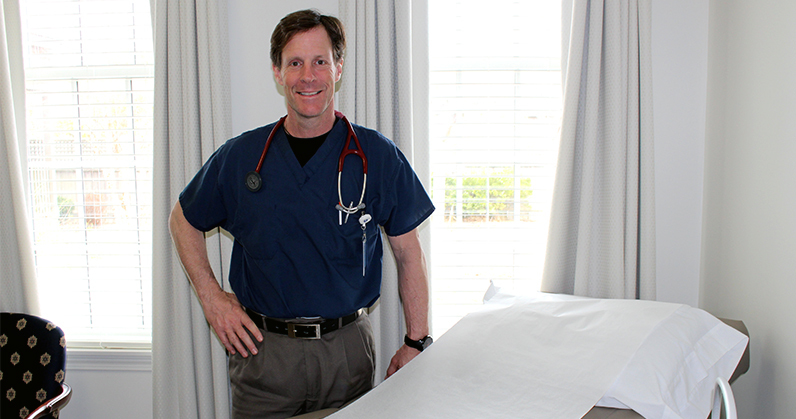 Nantucket Cottage Hospital this week welcomed Thomas M. Whelan, M.D., to the island’s primary care group practice. 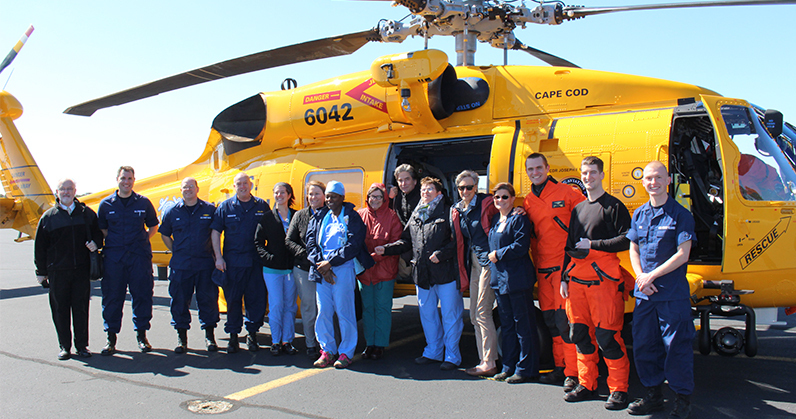 Thanks to the members of the U.S. Coast Guard Northeast who visited the hospital today to discuss patient transports and gave us a tour of their MH-60 Jayhawk helicopter and HC-144A Ocean Sentry fixed-wing aircraft atNantucket Memorial Airport.